WHY NOT GO ALL THE WAY AND PROPOSE THIS INSTEAD? I really had to laugh when I read the following report from Ynet …. Analysis: Israel seems prepared to accept passage of goods, people between Gaza, West Bank; diplomats considering release of prisoners withheld during peace talks. Egypt’s intelligence chief, Major General Mohamed Ahmed Fareed Al-Tuhami, is taking action at ceasefire talks in Cairo to consolidate an initial agreement focused on a ceasefire and humanitarian relief. According to the emerging agreement, Palestinian President Mahmoud Abbas and his Palestinian Authority (PA) will have control over the Philadelphi Route to prevent further construction of smuggling tunnels beneath the border between Egypt and Gaza. By following this plan, Abbas and forces under the PA would be responsible for monitoring or destroying entrances to smuggling tunnels on the Palestinian side and the Egyptians would do the same from Sinai as they have done up till now. These plans for the Philadelphi Route are all part of the Egyptian ceasefire plan which would include the opening of the Rafah border crossing under control of the PA and which Abbas’ negotiators seem ready to accept within the framework of their reconciliation government with Hamas, restoring some form of control and status to the PA in the Gaza Strip. In accordance with the current outlines drawn up by the Egyptians, Israel is required to facilitate the movement of goods at the Kerem Shalom border crossing as well as the movement of people between Gaza and the West Bank through the Erez border crossing. Israel is prepared to agree to such a deal. The Israelis have also signaled that they are prepared to grant the Palestinians expanded fishing rights off the Gaza coast, but demand that Israeli forces will be able to monitor a security parameter from the west to the fence surrounding the Strip in order to make sure that Palestinian organizations aren’t digging new smuggling tunnels. It’s not completely clear if the Israelis are demanding a permanent presence in the security parameter or simply the right to enter the area when there is suspicion of a tunnel being dug and about to emerge in Israeli territory. According to the Egyptian initiative, besides having control of the Philidelphi Route and the Rafah border crossing, the PA will act as a middle man, passing funds from Qatar to Hamas in the amount required to pay some 43,000 government officials who have not been paid for quite some time. The efforts to reach an agreement are being held mainly in Cairo, but are also taking place by telephone between the Israelis, Egypt, the PA, the US, and a few countries representing EU interests. The UN envoy Robert Serry is also involved in these efforts. These efforts are complex, but can be easily separated into two different political fronts or goals to be achieved. 1. The involved parties are working to achieve an immediate ceasefire that will allow for humanitarian relief to reach Palestinians in the Gaza Strip. 2. The general consensus is also that a long-term agreement needs to be reached that will include an international declaration to prevent Hamas’ military build up under either Palestinian or international supervision, and a large aid package to rebuild the Gaza Strip. The Israeli delegation is not currently present in Cairo, mostly because their presence isn’t necessary for talks to continue. The envoy that returned to Israel on Friday already gave the Egyptians their stance on the initial agreement. So far, Egyptian mediators have not phoned and asked the Israelis to change or reconsider any of their terms. Therefore, Prime Minister Benjamin Netanyahu can say without hesitation that he is not negotiating with Hamas while Israel remains under fire. At least for the time being, the Israeli envoy doesn’t seem to be preparing to return to Cairo, but such action is possible. Israel, Egypt, and the PA all have mutual interests in the Egyptian initiative which intelligence chief Al-Tuhami is currently trying to sell to the Palestinians. At the moment, Hamas is standing by its demands, but according to assessments in Cairo and Jerusalem, the group will eventually agree to a ceasefire and the terms of the initial agreement. The sides will then sit and talk out the main diplomatic truce. Israel will most likely agree to release Palestinian prisoners that were denied their freedom during the last round of peace talks. 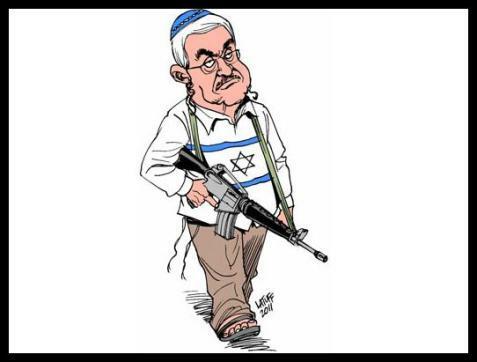 This move will strengthen PA leader Abbas and at least partially meet Hamas’ demands to release certain prisoners. However, right-wing politicians in Israel deny reports regarding the possible release of prisoners who were released in the deal for Gilad Shalit and re-captured during Operation Brother’s keeper in the West Bank. Bassam as-Salhi, a member of the Palestinian envoy to Cairo, said Saturday that the Palestinians have postponed Israel’s suggestion to release prisoners in exchange for the bodies of Israeli soldiers. As-Salhi spoke to Ma’an News Agency on Saturday saying that the Palestinians are refusing to discuss the subject of the soldiers in the framework of the ceasefire talks. He said that the delegates would be ready to raise the issue after their other demands were met. 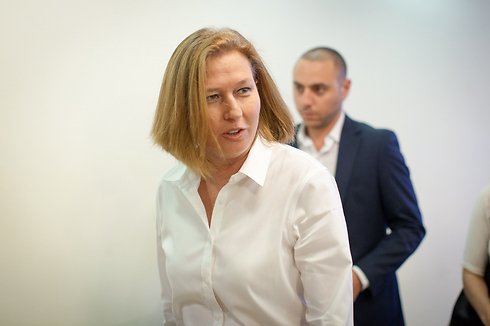 Meanwhile, in the international arena, Justice Minister Tzipi Livni is pushing for an agreement that will finance the rehabilitation of the Gaza Strip with funds from the US, EU and possibly even the UN while making sure to enforce strict inspection to prevent the military build up of Hamas and other Palestinian organizations in the Gaza Strip. 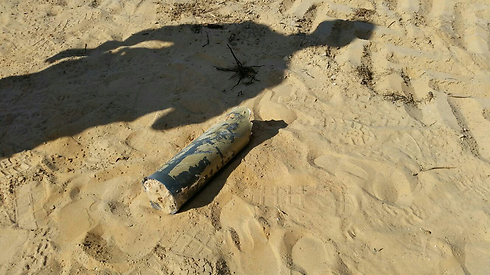 Hamas proactively continues to fire rockets at Israel in relatively small amounts. Even Hamas doesn’t want to anger the Egyptians and lose points in international and Palestinian opinion. Therefore, they are simply allowing Islamic Jihad to fire the rockets while seemingly putting limits on them. This policy allows Hamas to keep its stockpile of rockets for another day. Israel is responding to rocket fire by hitting targets picked out by intelligence efforts during the fighting including operation and control centers which were already attacked but which Hamas is trying to reoccupy. Israel is also attacking with comparative restraint in order no to upset Egyptian efforts to reach a stable ceasefire. Ending the blockade of Gaza could be agreed between the Egyptians and the PA, with Egypt and the PA establishing a joint border crossing. The PA – including Fatah/Hamas – could establish a customs border for Gaza to generate income with which to pay the salaries of civil servants. None of this requires any permission or input from Israel. The Egyptians might need to clear the arrangements with the Obama administration but why should they object to such arrangements? This would also make it possible for the PA to arrange elections in Gaza and the West Bank to elect a new President and Palestinian Assembly. The PA should also negotiate with Egypt, the US and the EU to have their territorial waters guaranteed so that the gas deposits off the Gaza shore line can be exploited, as well as fishing activities. The questions of releasing all Palestinian prisoners and opening up Gazan – and West Bank – air space will need to be agreed with Tel Aviv at a later date. The truth is that ending the siege of Gaza can be achieved without the involvement of Israel, provided Egypt and the US approves of it. 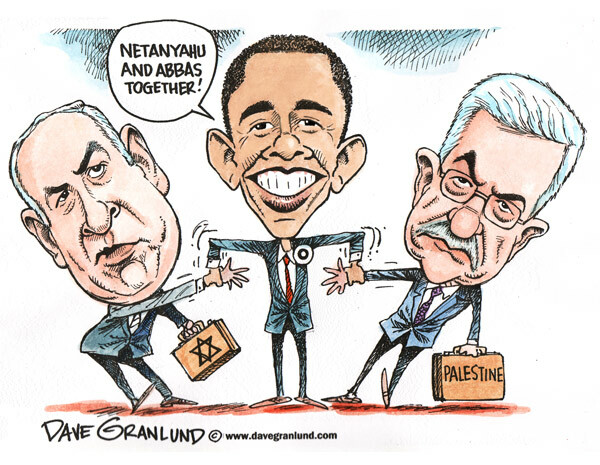 Maybe they should in order to demonstrate to Israel that no US administration is prepared to wait on Israel for ever. How dare they try to second-guess the President of the US?